Deep in the south of France, Provence offers an almost predictable palette of travel experiences: oceans of vineyards, fields of scented lavender, adorable villages, and intoxicating bouillabaisse. But the area is also crammed with ancient history — the Roman ruins here are some of the best anywhere. Many scholars claim the best-preserved Roman buildings are not in Italy, but in France. 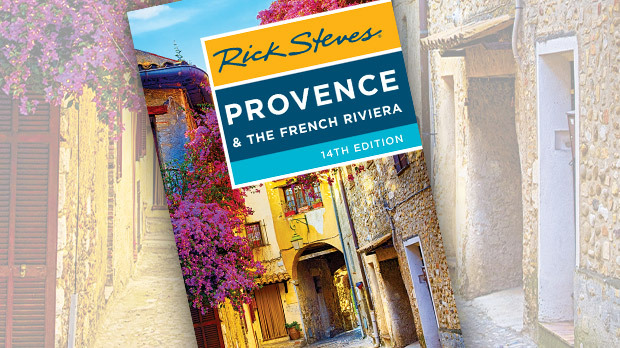 Provence was the first part of French Gaul to be brought under Roman rule (the region's name derives from the Latin Provincia). The Romans were no fools: They recognized Provence as a prime trading and wine-growing region, where good living was — and is — easy to come by. With its strategic location between Italy and Spain, Provence grew to become an important part of the worldwide Roman empire. After Julius Caesar conquered Gaul (58–51 B.C. ), Emperor Augustus set out to Romanize it, building and renovating cities in the image of Rome. Most Roman towns in Provence had a theater (some had several), baths, and aqueducts; the most important places had sports arenas. Take Arles, for example. In Roman times, the city enjoyed a formidable wall, an arena, a 10,000-seat theater, a bridge across the Rhone River, and an impressive main street. The city today still thrives within the original Roman outline. But the epicenter of Roman Gaul was the colony city of Nîmes. Today it's administrated as part of the province of Languedoc, but back then it was the Provençal player. Impressive physical remains — especially its stately temple and majestic arena — testify to Nîmes' former importance. The Romans were a savvy group. Once they'd conquered a people by brawn, they finished the job with smart benevolence. Admission to Nîmes' arena, for example, was free. There were no gates, just 60 welcoming arches, allowing entertainment seekers to come and go freely. The idea was to create a populace that was thoroughly Romanized and thinking as one — with subjects and subjugators all enjoying the same activities and amusements. All around Nîmes, little bronze crocodile-palm medallions shine on the sidewalks. They're a reminder that Nîmes was a favorite retirement home for the Roman officers who had conquered Egypt. (The crocodile is Egypt, and the palm tree symbolizes victory.) Even in those days, professional military men retired with enough time for a second career. Did the emperor want thousands of well-trained, relatively young guys hanging around in Rome? No way! What to do? How about a nice place in the south of France...? Wherever they went, the Romans impressed the "barbaric" locals with massive engineering projects. 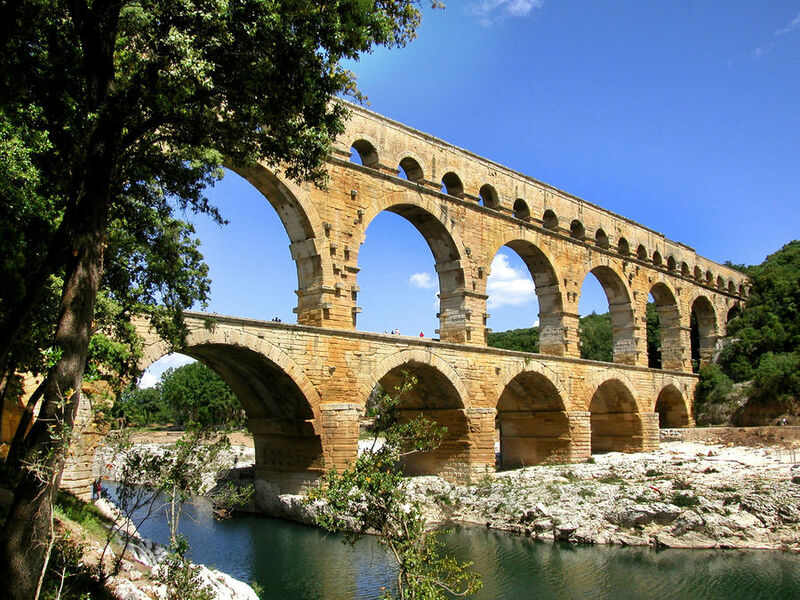 In the early first century, Roman builders got to work outside Nîmes, erecting the Pont du Gard — part bridge, part aqueduct. The Romans loved aqua vitae, the water of life. Using nothing more than gravity, Pont du Gard brought nine million gallons per day of fresh spring water to the fountains and baths of Nîmes. Huge and solid, its stone arches still range high over its ravine, heralding the greatness of Rome. Today, most travelers more or less ignore Nîmes. But to me it feels richer and surer of itself than other southern French towns — and it's refreshingly lacking in overnight tourists. And if you've visited the magnificent Pont du Gard, you've gotta be curious about where all that water went. Another fine Roman legacy in Provence is the open-air theater in Orange (another popular retirement town for army officers). The Romans weren't as serious and highbrow about their theater as the Greeks; they preferred to be entertained by pantomimes and farces. Operas and concerts are still performed here, backed by the stage's soaring acoustic wall. Your posterior may ache from sitting on the theater's cruel stone benches, but it's worth it to be under the stars, imagining being one of the crowd 2,000 years ago. I've always said that ancient sights can give you heat stroke or goose bumps — depending on your ability to resurrect meaning from the rubble. The Ancient History Museum in Arles is a great place to fill in the blanks. Models of Roman structures breathe life into the stones, showing how they looked in their prime. It helps, for example, in fleshing out Arles' forum in the center of town — where only two columns remain of the once-mighty building. The museum sits on a bank of the Rhône River, itself a surprisingly rich source of Roman artifacts. When a trove of ancient sculptures and bronzes was discovered underwater a few years ago, scuba-diving archaeologists had to haul them out at night to keep the site hidden from poachers. 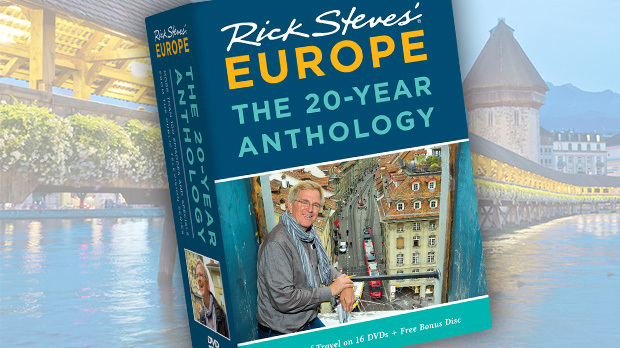 Happily set in the French countryside, all of Roman Provence is basically an open-air museum. 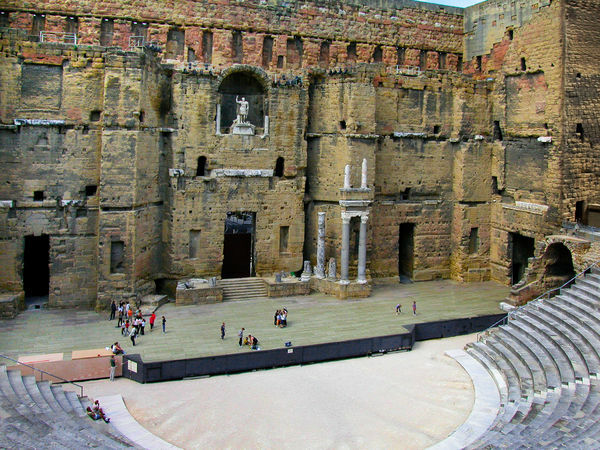 The evocative Roman ruins you'll see here make history an essential part of the picnic of the good life in France.